SMBX2 Development News & More! SMBX2mx3 is a preview build of SMBX2b4, with a mostly complete feature-set, that’s a little rough around the edges. The specifications of the software can be found in the handbook included in the download. The build’s primary purpose is for it to be used by the MAGLX3 Level Contest, hence mx3. You can download SMBX2mx3 here and, if you’re reading this before the contest deadline, you can sign up to MAGLX3 here. Below is an abridged list of changes and new additions. If you find a bug, please report it in this topic, and we’ll see to get it fixed for SMBX2b4’s release. Throughout these lists, the most important features are bolded. The default format for level files is now .lvlx. Lunadll.lua and Lunaworld.lua have been standardized to luna.lua for both. The old names still work. Lunaoverworld.lua has been simplified to map.lua. The old name still works. Certain Character Demo Stages are being recreated. Wario has received a redesign. Go give him a try! Mega Man now sports his 16-bit look by default. The amount of built-in episodes has been reduced to decrease package size. All sprites now use .png by default. Gif files are still compatible, but will also still need masks. Updated visuals of sizeables and the SMB3 cave tileset. Tileset Itemboxes in the Editor have gotten a facelift. The Testing Menu has been enhanced. These features will not require a single line of lua. The ID range of 751-1000 for Blocks, BGOs, NPCs and Effects are available for personal use. Read more about this feature and “NPC Duplication” in the handbook. BGOs, Backgrounds and Effects now have configuration support. Specifications can be found in the handbook. Added various new NPC codes. Added hundreds of new Blocks and NPCs, dozens of new Effects and BGOs, and some Backgrounds. Two-Way Warps in the Editor work. These features require at least one line of lua. Using loadscreen.lua you can now customize loading screens for your episode. The Data class has been deprecated. Save data handling is now done through the global tables SaveData and GameData. You can now write and use shaders using GLSL and the openGL drawing functions. Using map3d.lua you can make your world map render in a 3D style. Lineguides have been enhanced and you can add your own NPCs to the list of lineguided NPCs. Orbits.lua lets you create NPCs moving around an anchor in a circular motion. Switchcolors.lua lets you define your own switch colours. Timer.lua is the timer library used by basegame elements. Enabling it activates the Green Berry NPC’s function, too. Actorclass.lua lets you create actors for cutscenes. Animatx2.lua makes complex animation cycles easier. Click.lua lets you handle mouse input. Handycam.lua helps with complex camera control. Pblock.lua exists, serving as a mirror to pnpc.lua, just for blocks. Lib3d.lua is a 3D renderer for levels, allowing for levels with 3D visuals. Spline.lua lets you create and make objects move along splines. Some of the curious bugs among you must’ve noticed a little bit of a revamp happening to our To-Do list last week. As we move closer to release we decided to clearly distinguish between what’s necessary and what would be nice to have for the release, so that we can make decisions about what we might have to cut. It’s still a beta, so there will always be more opportunities, after all! But before I go into detail about those, I want to give a small update on the things happening. The images in this post are largely unrelated to the texts below, I just figured it would be nice to have a couple things to look at in addition to words to read. They’re from various testing sessions, showcasing some fun interactions. WOULDN’T IT BE COOL IF REZNOR WORKED? Over the past months, the main topic of the Imperfections and Interactions post was being worked on – checking the imperfections of all newly added elements and making sure they work. The vast majority of this work is now completed, meaning that when the update releases, you won’t run into a game-breaking error when trying to use a large number of new additions! Hooray! The exception right now are interactions between new npcs and other new npcs which, while not game-breaking, are awaiting a piece of new tech which will likely not be ready for release (and would delay release by a couple more months). It’s something to be wary of, but nothing to be staying away from new npcs for. WOULDN’T IT BE COOL IF REZNOR CHASED YOU? Another feature that will likely not be quite ready for release is easy NPC editing. 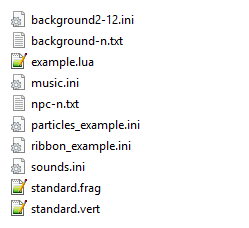 In the future, all new basegame NPCs will be loaded through “npc-id.lua” files, where “id” is the ID of the NPC. Changing the name of the file will be enough to create a duplicate of the NPC’s behaviour for local use! No more “unloading” shenanigans like with Beta 3! 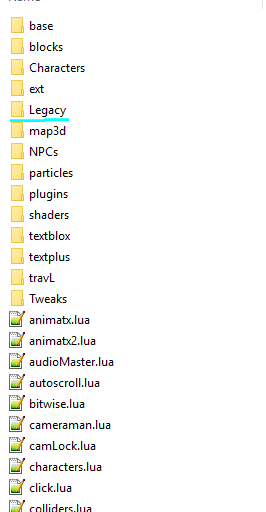 In addition to this, having a local copy of, say, npc-301.lua (Thwimp) will cause both the basegame file as well as the local file to apply their code in parallel! This means that you can mod the Thwimp without copying all of its code over by just making a file with the correct name. I’m trying port as many NPCs to this system as possible for release, but there is a high chance it won’t be ready for all of them yet. While most NPCs are ready, there are a few which still need some bugs ironed out. In particular, lineguided NPCs are the last NPC-related hurdle and are being worked on in parallel to all remaining issues. A few things need a bit of a restructure in order to be more performant overall. You might have noticed in SMBX2b3 that new blocks in particular were very prone to slowdown when used in bulk. Stuff like that is something we will need to address sooner or later, and we want to take care of it sooner so that it doesn’t become a bottleneck that makes designing with these new tools unfun. Beyond the biggest hurdle of “performance”, there are a couple minor errors remaining in included episodes, editor preferences or factual errors in our documents which we’re working on to resolve. Little stuff that shouldn’t take long to resolve but is still important to sort out. We’re not yet confident that development can continue at a steady speed until release, so we don’t wanna pin anything down just yet. The moment we’re ready to share a release date, though, it will be immediately announced alongside a trailer and a new blog post. It’ll be impossible to miss! While there hasn’t been a blog post in a while, that doesn’t mean we’ve just been dormant! A lot of work in areas outlined in the last post has happened, and we’re just not at the next big milestone yet. I figured I’d provide an update anyway to showcase some of the stuff that’s happened in more detail. Some NPCs expose a couple of configurations about them to the editor, letting you change their settings per-instance. An example is the fire snake shown above, which can have its length adjusted. Other examples are the SMW minigame cloud which lets you configure how many coins it throws, and the SMW Bowser statue which has a configurable volley of fireballs. The latter is included in another gif below. These settings will only be available in .lvlx level files, which will be the standard starting with Beta 4. Don’t worry, all .lvl files will still be perfectly functional. Very common checks we are doing are against the reserve item box, generators, held and thrown state, as well as interactions of NPCs with other NPCs and blocks. The goal is to make all of them possible for all NPCs included. I hope you will check them all out and find cool things you can do with them! We’re also beefing up some older elements. The new blocks of Beta 3 didn’t always support contained NPCs, for example. There was some room for improvement which we’ve now used. That isn’t to say the old elements were weak. See it more as a Power-Up for Beta 3 elements. The above gif is from my own testing and tweaking of these elements. The others are compilation of some of these results. The goal is that people don’t have to worry about any crashes when using SMBX in creative ways, and I hope you understand the long development time that comes as a result of this. I think it’s about time we show what’s going on behind the scenes and state how we’re gonna swing back around to a release from where we are. It’s nothing to be worried about, just something that isn’t a trivial task. Currently, we have implemented or done great progress on just about every new end-user feature we want in the beta 4 update. The big hurdle ahead of us is ironing out all bugs that exist within that content. We’re working on a massive checklist for NPCs which represents the biggest bulk of remaining work, which with just about 200 NPCs to check is going to take a bit of time. There are a few more features which aren’t quite ripe yet, such as effect.txt files and a new comprehensive documentation, but most of the tasks on our Todo-list are either of relatively small scope, or tie into the NPC checklist in one way or another. One thing you might notice in the gif above is that Grrrols and Monty Moles have their death effects! Some of you noticed in previous posts that death effects for certain NPCs weren’t looking right or were outright missing. Well, we fixed that! New NPCs actually already support effect.txt files, too! In addition to the powerup blocks from Beta 3, we now have powerup filter blocks! These blocks immediately set your powerup, and there are also variants to filter your mount or held item. If you don’t want players carrying something further than intended, these are a great choice. As you can see, the star blocks from Beta 3 can now also contain enemies! We have corrected the spacial anomalies which prevented this from happening previously. And yes, Wigglers now wear their pretty flowers, too. The Beta 3 ice block now has a hot counterpart. Instead of being slippery, it’s harmful unless carefully approached with an ice flower. And it can be destroyed by various cold things, just like the ice block can be destroyed by hot things. I might share more cool interactions and mechanics we create in a later blog post, but that’s it for now. Make sure to join the codehaus discord if you want to talk to us or want to see developer discussion directly. One thing we value while making new content for SMBX2 is to create new ways for designers to build their levels and new ways for players to play these levels. Having things that interact with the environment in the same way the player does is something we always wanted more of in SMBX, so let’s take a look at some that are coming in SMBX2 Beta 4! Of course, front and center in this post are the bumpers from Super Mario Maker. Though we’ve added some of our own flavour! The blue variant also bounces NPCs around, while the little ones have less power in their bump. I’ve already shown these a bit but figured I’d showcase them here again due to how much utility they provide when coming up with obstacles. Watching stuff bounce back and forth is incredibly satisfying and I’m excited to see what crazy contraptions people come up with once the update is ready. But I wanted to draw more attention to some elements which have been added since: The one-way pipes and cannons! Also, yes. The fact that these are featured again means they’re definitely coming as a basegame feature, since we’ve now breached the block limit. Another thing previously showcased that benefits from having new block slots. We felt it would make sense to seperate level-specific and global switch blocks from one another, since level-specific ones are regularly used for challenges within levels and having a second set for global switch blocks would allow these challenges to coexist with switch palace blocks. Speaking of switches, you might’ve seen a small blue one in the video above. That’s only the beginning of the madness that is Thwomps pressing various switches! I should mention that POW blocks are sturdy enough to only be hit by Thwomps that destroy turn blocks. 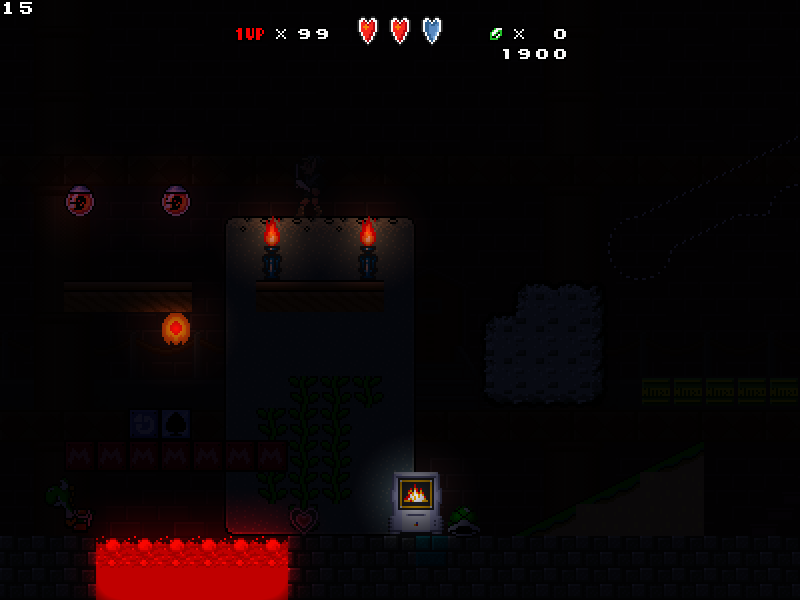 We have added a pretty peculiar red square NPC. This NPC acts exactly like the SMB1 axe NPC, but is only visible in the editor and is not affected by gravity by default! This should make event-triggering contraptions a lot more accessible and less prone to someone forgetting the custom graphics and NPC code for the invisible axes. That’s all for today! I hope you are excited for all these new features. We’re doing our best to get them delivered to you as soon as possible. Last week marked the introduction of a long-awaited feature, which people on the team were hoping for ever since we got access to more NPC IDs. Namely: The same for background objects! Yes, in SMBX2b4 you will not only be able to resize and change the frame count of background objects at will, but also add as many as you like! Just like with NPCs we are reserving the range of IDs from 751 to 1000 for personal use, meaning that all 250 of these IDs can be used on a per-level or per-episode basis. That’s far more than the amount of BGOs currently in the game! As you can see in the video above, we quickly started filling up some of the slots we got access to. 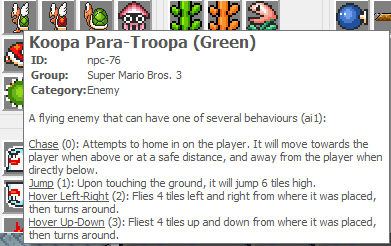 In addition to the big topic of lineguides, made by Sambo, I have added the arrows from Mario Maker and Monty Moles as a new NPC, as well as their dirt as a BGO. The new lineguide set comes with 22.5°, 45° and 67.5° slopes, small and big quarter circles and the usual horizontal and vertical straight line. And unlike with the old lineguide system, here NPCs aren’t going to fall off once they meet a sharp turn! Various NPCs come in three different speeds per default for extra variety and you can even attach non-standard IDs to lineguides with just a bit of lua (we will probably be able to remove the need for coding in the future). Another thing showcased in the video is the breaking turn block, which is a breaking bridge in Beta 3. In Beta 3, this block didn’t account for its contents. However, with the new update you will be able to hide any NPC in it for a little surprise, or just a friendly set of coins. The last thing worth mentioning are the red springboards which, after a recent overhaul, work well with a wide range of NPCs, both old and new! 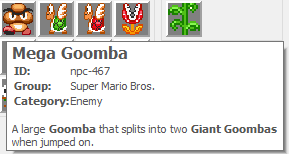 Ever wanted to make the player face a horde of bouncing goombas? When this update lands, you will be able to! Okay I lied. There’s one more thing I want to touch on. It’s also noticable in the gif, but still work in progress: Progress has been made towards making effect.txt files a thing. More about this in a future post, though. Continuing the stream of polish posts I want to address some inconsistencies that we’ll have to bring upon you to improve the overall SMBX2 experience. These changes aren’t going to break anything, but it’s best to be aware of them and take measures to consider them early on. The SMB3 cave tileset has, honestly, never even been using the SMB3’s pattern. We weren’t able to figure out how the current tileset was constructed, but we figured we should update it to properly resemble the source game. The other change involves various sizeables in the game which we’ve changed for one reason or another. Most of these have their bottom segment changed to prevent cutoff, allowing them to be placed in midair or as part of a ceiling. Others had their bottom segment adjusted to better fit with the style of similar tiles (SMW sizeables). 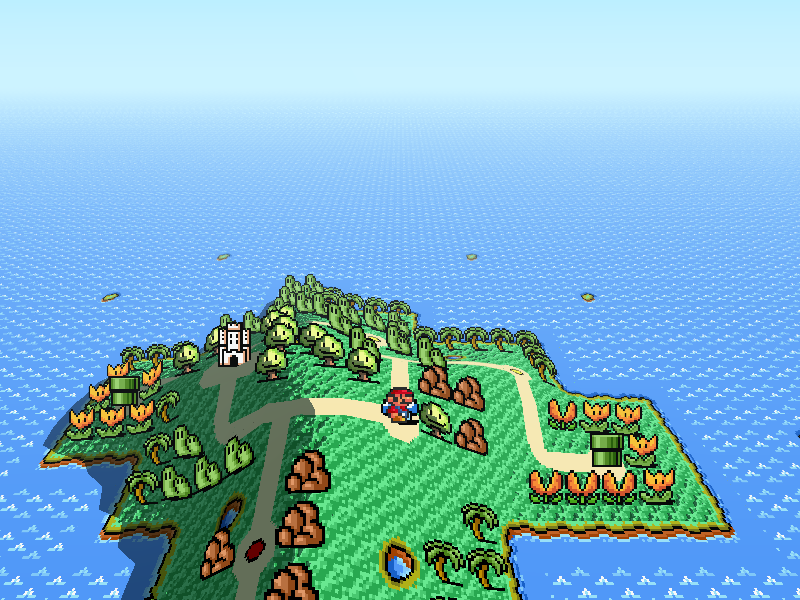 The airship block in the bottom right has been reverted to its SMBX 1.3 appearance, as that appearance suited its intended environment better. 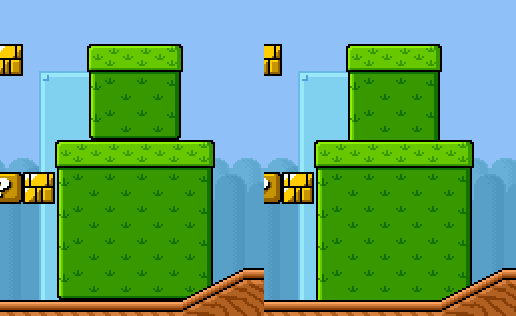 Don’t worry, due to how SMBX sorts its blocks you won’t run into layering issues with this! Maverick Thwomp’s detection radius has been overhauled. Its range is slightly shorter and its movement is slightly move gradual. It will now no longer immediately charge at you when it spawns. Boo Circle now uses NPC 469 for the boos in its circle, rather than relying on just a lua hitbox. This means that it is possible to change the individual boo’s NPC code or run code over it in lua! 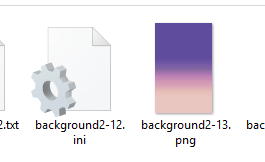 The entire new_npcs folder within the graphics folder no longer exists, since all other NPCs also have their files from there now integrated into their default sprites. Why Are We Still in Beta? Another blog post this soon? Impossible! In contrast to the last post I would like to talk about some more technical things which don’t impact the average user tonight. I hope you’ll still find them interesting, though! Recently, we’ve sorted out some things under the hood. We’re degreasing the engine, changing the oil, rotating the tires, and checking the brake pads. In short, we’ve made some changes to improve the overall usability and quality of SMBX2. “Beta”, for this project, means that we’re still sorting the foundation out. Updates like this break some compatibility to the previous beta, but will help the project in the long run. We’ll stay in beta until we’re at a point where the foundation is so smooth it won’t cause us trouble down the line. This means that at that point we won’t have to make changes anymore like the ones you’re about to witness. Here you can now find templates for paralX2 background files, background and npc code txt files, lunalua libraries, music and sounds.ini, particles and shaders. Simply copy them over to where you need them, rename as necessary and adjust! Another new folder is the “logs” folder. 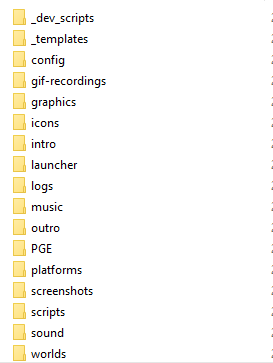 This is a new folder where all the crash logs will be. A far better location than the data folder itself if you ask me. While we’re still in the process of sorting this out fully, you can see that the number of folders and files vastly decreased. Going forward, we’re aiming to include only useful and necessary libraries per default, rather than everything ever made. The folder got very messy from the previous approach (to the point where we had half a dozen timer libraries! ), so now you should be able to find what you need more easily. This folder has a special purpose. Before deleting any library in future versions, we will move them over to this folder to mark them as deprecated. In the version after that, they will be gone for good. If the game finds that a level tries to load a library that’s in there, it’ll inform about it (but only in the editor, so it won’t disrupt normal gameplay!). This is to give developers time to update their episodes before anything actually breaks. It’s probably not something you ever considered, but hopefully it made you go “huh, this sounds useful”. That’s about it in terms of updates for now. There are still more juuust around the corner, but I can’t yet give an estimate for when those will be presentable. I’ve showcased this level in the last post as well. 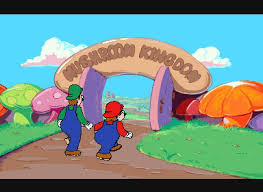 This is actually the new hub for the Mario Challenge. Hoeloe and I sat down to give the game mode more flair and personality. It now has a dreamy airship serving as its hub, with new loss and victory screens that support the theme. It’s been a while since the last blog post, aplologies for that. There are a lot of features currently WIP and approaching presentability, but nothing quite ready to be showcased. As we move closer to Beta 4’s release, I will post more blog posts as well, so stay tuned! Oh, one more thing: Notice the highlighted item: background-53. Notice how it’s rather big, without having a .txt file attached. This is because the properties “width” and “height” are set automatically to fit the image’s dimensions! Adding large background objects can’t possibly get easier! People often complain about the necessity in using lunalua to get anything out of SMBX2, and I’m happy to announce that these features are just the beginning of us making features more accessible. Introducing ParalX2! 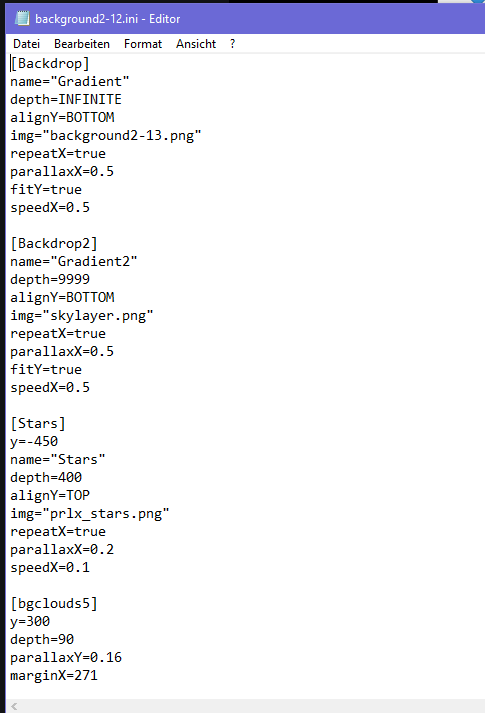 Now you have to write no lua at all to get a really fancy looking parallax going! The result is a gorgeous and complex sky setting, accomplished without writing any lua code! Details on the configuration files will be publically available when we release Beta 4. You might’ve seen this video making the rounds, but I figured I should spotlight it in particular. It showcases enhanced camera and animation controls. Hey garners. While we chip away at bigger issues delaying the release of Beta 4 I’ve recently discovered that NPC IDs beyond 500 are being claimed. This doesn’t mean that all of them will be available next release, but it does mean that a doubling of the Beta 3 NPC count is closer than you might think! Over 100 NPCs have been completed and will be added to SMBX2 with Beta 4 at this point, and i figured I should show some more of them. If you played SMW you will remember Mushrooms popping out of bushes on occasion. This “Hidden Mushroom” Sprite, as it’s referred to in Lunar Magic, was modified by me to serve as a container for any npc! These enemies are called Blerts. They reproduce within a small radius and die when the core is killed. Rockythechao came up with these in the context of wanting to design an enemy simulating Conway’s Game of Life, and the regular blerts you see here were created as an alternative. In the future, Golblerts simulating Conway’s game will be added. Grafs are small bats by The0x539 whose AI is determined by a graph function. This gif showcases some basic graphs such as a sine wave, circle, tangent and an accelerating Graf. Their electric variant is called Van de Graf and is immune to regular jump attacks. The SMB2 set of NPCs has been expanded with Snifits that fire while held and Trouters. Pansers are older but I haven’t given them the exposure they deserve yet. That’s it for today! Hope you enjoy the news! Hoeloe has eaten his cereal THIS TIME. WHAT A LOSER.